Pre Draft Report: Numata is a switch hitting shortstop, but some teams have had the idea to try him at catcher. However, his best chance might be on the mound where he can hit 94 but sits 89-91, with a tumbling curveball. Career Synopsis: Numata played 31 games at catcher after signing and showed good patience but did not drive the ball well and ended up with a .222/.340/.244 line. Numata’s 2011 was cut short by a hamate injury in spring training that wasn’t diagnosed until the summer and he only played in 9 games in the GCL. 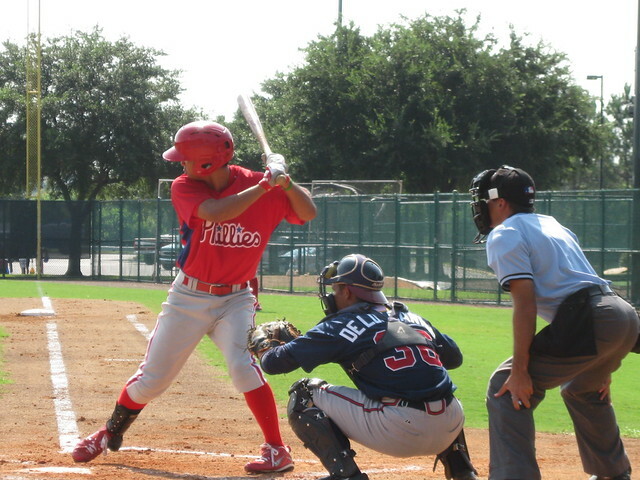 In 2012 Numata was once again held back in extended spring training before going north to Williamsport. Numata was not great at the plate hitting only .233/.287/.319 but he had a good walk rate and decent strikeout rate and began to show some power as the year went on. Summary: Numata is still really raw behind the plate but he is very athletic and has improved each year though he still struggles blocking pitches. Numata has a very strong arm and is still learning how to use it behind the plate. At the plate Numata has a nice line drive swing that shows gap power and allows for good contact. Unlike most catchers Numata has above average speed and is not a liability on the bases. Upside: Numata still has a long way to go to have a major league future. His future depends on his defensive improvements, and he has the skills to be at least an average receiver with a strong arm against the running game. At the plate Numata should be a solid hitter who projects to hit closer to the bottom of a line up but won’t be a complete liability at the plate. At this point it is hard project anything more than backup role but he is still only 20 years old and has the athleticism to make a jump if he starts to put it together.